There are a number of materials that homeowners can consider when investing in brand new windows for their homes. For those who want a more traditional look and style, however, the wooden windows London companies provide are the very best bet. There are a number of impressive functional and aesthetic benefits that these designs can offer. This is especially true when you work with a reputable and well-rated company like Mortice and Green. A lot of consumers invest in wooden windows largely for their aesthetics. For those who live in older homes with wood trim, fascia and other features, window options that are made from vinyl, aluminum, or any other non-aluminum metal simply don’t blend well. Natural wood offers a unique look that’s both warm and enduring. When budgets allow, there is simply no reason to settle for less. For those who own historic properties, all-wood sash windows are the premier choice. These are vital for maintaining the integrity and authenticity of these impressive structures. Wood offers a genuine look that no other material is capable of mimicking or matching in these instances. Best of all, wood is among one of the most flexible options available given that it can be painted or stained to perfectly match or coordinate with all other property features. Beyond having a tremendous amount of aesthetic appeal, wood is also a naturally insulating material. This means that it helps trap more heat inside of the home during winter, while effectively keeping heat out throughout the warmer months of summer. As such, homeowners don’t have to place as much strain on their home heating and cooling equipment throughout the year. This upgrade will invariably lead to decreased energy use, lower energy bills, and a smaller carbon footprint. Wood is not an efficient conductor of heat. This is why it is such an excellent, insulating material. Due to its composition, this material is actually 1,800 times more efficient in window applications than aluminum. It also provide 400 times more insulation that windows with steel frames. This is but one of numerous ways in which the decision to upgrade to all-wood window designs is sure to pay for itself. For property owners who are eager to build sweat equity, an all-wood window replacement project is a wise choice. Homeowners can certainly look forward to lower energy costs, but they can also expect to have higher property values, increased marketability for their abodes, and improved curbside appeal. There are other environmental benefits that can be gained by investing in wooden windows. When considering the environmental impact of these structures, many people cite deforestation as being a possible drawback of all-wood designs. Companies like Mortice and Green, however, work closely with a number of highly trusted and highly ethical suppliers. As such, they are able to source the raw materials for their projects in an environmentally-friendly and highly sustainable manner. Mortice and Green maintains total control over its supply chain by never outsourcing any aspect of its projects. This promotes better quality control and gives them a comprehensive, end-to-end view of the entire production process. It is additionally important to note that all-wood designs require far less energy to produce than do PVC options. In fact, it takes eight times less energy to manufacture these products. The environmental benefits of all-wood windows significantly increase when traditional, sash window styles are chosen. These products provide an unparalleled level of ventilation and air flow, making them perfect for historic homes that lack modern ductwork and HVAC equipment. Even cracking these structures slightly can create a cool, comfortable cross draft that is sure to be appreciated throughout the hottest portions of the year. The greatest benefit of upgrading to these designs, however, is their remarkable longevity. There are actually all-wood windows that have been existence for over three hundred years. This is not the case for options like aluminum or vinyl. With proper maintenance and care, wooden structures can last indefinitely. In fact, if homeowners invest in quality window designs and when their windows are properly installed, they can look forward to having products that last throughout their lifetimes in many instances. That’s because these are not prone to rust or other corrosion. Regular applications of a quality paint or stain can prevent problems like wood rot, termites, and other environment-related issues. Coefficient of expansion is another vital factor to consider when deciding whether or not wood windows are thee right choice for your home. These structures are incredibly stable given that they have the lowest, coefficient of expansion when compared to other, common window materials. Whether exposed to extremes of hot or cold, these are unlikely to swell or shrink in any significant way, thereby allowing them to remain virtually immobile throughout the year. Mortice and Green is committed to providing first-rate, all-wood, window products. This London-based company is staffed by highly seasoned and highly skilled professionals who produce traditional wood window designs. 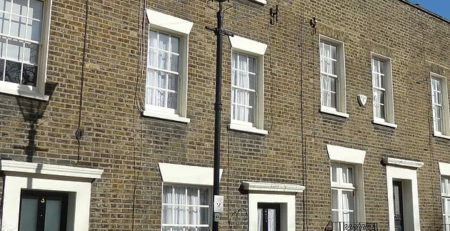 Consumers can turn to Mortice and Green for all of their sash window needs. In addition to offering premium workmanship and environmentally-friendly materials, this company also provides an optimal level of customer care. Best of all, much of the work that this business produces is performed in an independent workshop that is on the outskirts of London. With absolutely no outsourcing, this allows for the creation of beautiful, durable, hardwood windows at highly competitive prices. When weighing the benefits of all wood windows against other window styles, it is all too easy to see why wood is clearly the winner. Unlike many of the latest window materials, wood can be naturally and sustainably sourced. It comes with in-built, insulating properties, is unlikely to contractor or expand in any significant way, and can be maintained for a very long time. Moreover, when sash window styles are chosen, homeowners can experience dramatic decreases in their energy bills, smaller carbon footprints, and better air flow throughout their entire abodes. In some instances, this also promotes higher indoor air qualities as well. Thus, when it comes to building sweat equity, improving property aesthetics and securing window designs that are guaranteed to last throughout the years, it is certainly no wonder that discerning homeowners often opt for natural, hardwood window styles.